Contestants: Elan Sherbill, an e-commerce blogger from Chicago, Illinois Page Krugman, a proposal writer from Nashville, Tennessee Vaughn Winchell, a stay-at-home dad and graduate student from Columbia, Maryland (whose 4-day cash winnings total $78,302) Vaughn Winchell game 5. Contestants: Elliot Yates, an opera producer from New York, New York Mike Blaha, an attorney originally from Homestead, Florida Vaughn Winchell, a stay-at-home dad and graduate student from Columbia, Maryland (whose 5-day cash winnings total $103,103) Vaughn Winchell game 6. Contestants: John Schultz, a computer programmer from Ann Arbor, Michigan Elizabeth Scott-Jones, a budget analyst from Riverside, California Elliot Yates, an opera producer from New York, New York (whose 4-day cash winnings total $65,000) John Schultz game 1. Contestants: Evan Perkins, an advertiser account representative from San Francisco, California Verna Kale, a rhetoric professor and writer from Midlothian, Virginia John Schultz, a computer programmer from Ann Arbor, Michigan (whose 1-day cash winnings total $27,600) John Schultz game 2. Contestants: Lauren Gambier, an attorney from New York, New Nork Ricardo Pineres, a government relations professional from Herndon, Virginia John Schultz, a computer programmer from Ann Arbor, Michigan (whose 2-day cash winnings total $57,600) John Schultz game 3. Contestants: Abbie Micucci, a stay-at-home mom from Westborough, Massachusetts Jeremy Reff, a business developer from Brooklyn, New York John Schultz, a computer programmer from Ann Arbor, Michigan (whose 3-day cash winnings total $74,000) John Schultz game 4. Contestants: Cyndi Pruss, a biochemist from Kingston, Ontario, Canada Joshua Qualls, a theoretical physicist from Lexington, Kentucky John Schultz, a computer programmer from Ann Arbor, Michigan (whose 4-day cash winnings total $85,000) John Schultz game 5. Contestants: Amanda Boitano, a 10th grade English teacher originally from Smithtown, New York Patricia Kelvin, an editor of a monthly newspaper from Poland, Ohio John Schultz, a computer programmer from Ann Arbor, Michigan (whose 5-day cash winnings total $104,500) John Schultz game 6. Contestants: Jim Luh, an attorney from Bethesda, Maryland Kristin Sausville, a stay-at-home mom from Newark, Delaware Penny Reid, a newspaper copy editor from Bloomington, Indiana (whose 1-day cash winnings total $22,400) Kristin Sausville game 1. Contestants: Stephanie Hull, a graduate student of philosophy from Columbia, Missouri Brad King, an automotive engineer from Hartland, Michigan Kristin Sausville, a stay-at-home mom from Newark, Delaware (whose 1-day cash winnings total $24,801) Kristin Sausville game 2. Single-player Final Jeopardy! Contestants: Shawn Paul, a restaurant manager originally from Waterville, Maine Kynan Dias, a film student originally from Las Vegas, Nevada Kristin Sausville, a stay-at-home mom from Newark, Delaware (whose 2-day cash winnings total $31,601) Kristin Sausville game 3. Contestants: Darren Shea, a network administrator from Kyle, Texas Pauline Sholtys, an editor from Ansonia, Connecticut Kristin Sausville, a stay-at-home mom from Newark, Delaware (whose 3-day cash winnings total $52,802) Kristin Sausville game 4. Contestants: Colin Gleeson, a retail manager from Chicago, Illinois Irene Brockman, a graduate student in chemical engineering from Cambridge, Massachusetts Kristin Sausville, a stay-at-home mom from Newark, Delaware (whose 4-day cash winnings total $81,002) Kristin Sausville game 5. Contestants: Andrea Keleher, a medical records coder from Denver, Colorado Daniel Watkins, a music teacher from Fort Worth, Texas Kristin Sausville, a stay-at-home mom from Newark, Delaware (whose 5-day cash winnings total $94,201) Kristin Sausville game 6. Contestants: Max Henkel, a project manager from Madison, Wisconsin Kerry Greene, a volunteer guardian ad litem from Manchester, New Hampshire Michael Bilow, a Ph.D. student in computer science originally from Chicago, Illinois (whose 3-day cash winnings total $96,000) Kerry Greene game 1. Contestants: Niels Hirschmann, a commercial property manager from Belmont, California Sharon Boyd, a public health advisor from Washington D.C. Kerry Greene, a volunteer guardian ad litem from Manchester, New Hampshire (whose 1-day cash winnings total $19,201) Kerry Greene game 2. Contestants: Pat Kavanaugh, a marketing content manager from Chicago, Illinois Tom Imler, a data repair technician from Cary, North Carolina Kerry Greene, a volunteer guardian ad litem from Manchester, New Hampshire (whose 2-day cash winnings total $42,802) Kerry Greene game 3. Contestants: Eric Simmonds, an executive assistant from Los Angeles, California Brian Carrick, a restaurant owner from Portland, Oregon Kerry Greene, a volunteer guardian ad litem from Manchester, New Hampshire (whose 3-day cash winnings total $66,000) Kerry Greene game 4. Contestants: Evan Bick, a graduate student in psychology from Cambridge, Massachusetts Jan Schwartzberg, an information manager from Ithaca, New York Kerry Greene, a volunteer guardian ad litem from Manchester, New Hampshire (whose 4-day cash winnings total $89,600) Kerry Greene game 5. Contestants: Kaya Chua, a technology consultant from Chula Vista, California Travis Miscia, an attorney from Jersey City, New Jersey Kerry Greene, a volunteer guardian ad litem from Manchester, New Hampshire (whose 5-day cash winnings total $126,598) Kerry Greene game 6. Contestants: Chris Hurt, an actor and grants analyst from New York, New York Lindsey Love, an academic program coordinator from Eden, New York Kerry Greene, a volunteer guardian ad litem from Manchester, New Hampshire (whose 6-day cash winnings total $146,598) Kerry Greene game 7. Contestants: Alex Jacob, a currency trader from Chicago, Illinois Laura Kohlenberg, a global talent management associate originally from Pemberville, Ohio Chris Hurt, an actor and grants analyst from New York, New York (whose 1-day cash winnings total $30,801) Alex Jacob game 1. Contestants: Kathy Callahan, a student, volunteer and happy retiree from Pittsburgh, Pennsylvania Carlos Capellan, an IT manager from Queens, New York Alex Jacob, a currency trader from Chicago, Illinois (whose 1-day cash winnings total $23,200) Alex Jacob game 2. Contestants: Mary Suárez, a writer from New York, New York Corbin Dill, an editor and graduate student in public health from Houston, Texas Alex Jacob, a currency trader from Chicago, Illinois (whose 2-day cash winnings total $49,600) Alex Jacob game 3. Contestants: Becky Hammer, an environmental lawyer from Alexandria, Virginia Doug Butler, a graduate student in medieval history from Columbia, Missouri Alex Jacob, a currency trader from Chicago, Illinois (whose 3-day cash winnings total $72,200) Alex Jacob game 4. Contestants: Erin Steinhart, a clinical research coordinator originally from Wooster, Massachusetts Dane Walker, a courier from Flint, Michigan Alex Jacob, a currency trader from Chicago, Illinois (whose 4-day cash winnings total $109,401) Alex Jacob game 5. Contestants: Scott Blish, a technical writer and stay-at-home dad originally from Elmira Heights, New York Nikhil Neelakantan, an operations analyst from Richmond, Virginia Alex Jacob, a currency trader from Chicago, Illinois (whose 5-day cash winnings total $129,401) Alex Jacob game 6. Contestants: Todd Lovell, an engineering manager from Carmel, Indiana Monica Lott, a college English instructor from Rootstown, Ohio Alex Jacob, a currency trader from Chicago, Illinois (whose 6-day cash winnings total $149,802) Alex Jacob game 7. Contestants: Greg Seroka, a chef from Steamboat Springs, Colorado Ellen Burgett, a technical writer from Brighton, Michigan Michael Brady, a user experience designer from Norwood, Massachusetts (whose 2-day cash winnings total $33,602) Greg Seroka game 1. Contestants: Eric Fleury, a professor of political science from Worcester, Massachusetts Chip Brookes, a filmmaker and writer originally from Fairbanks, Alaska Greg Seroka, a chef from Steamboat Springs, Colorado (whose 1-day cash winnings total $25,401) Greg Seroka game 2. Contestants: Tim Giauque, a mechanical design engineer from Waynesboro, Pennsylvania Ann Marie Senter, a financial services officer from Raleigh, North Carolina Greg Seroka, a chef from Steamboat Springs, Colorado (whose 2-day cash winnings total $60,601) Greg Seroka game 3. Contestants: Dani Cook, a librarian from Rancho Cucamonga, California Salvatore Parente, a glazier from Sunrise, Florida Greg Seroka, a chef from Steamboat Springs, Colorado (whose 3-day cash winnings total $79,800) Greg Seroka game 4. Contestants: Sarah Negugogor, a user experience designer from Kirkland, Washington Brian Fodera, a writer from Sherman Oaks, California Greg Seroka, a chef from Steamboat Springs, Colorado (whose 4-day cash winnings total $108,200) Greg Seroka game 5. Contestants: Robert Sale, a government relations liaison from Washington, D.C. Valerie Braun, a homemaker from Cincinnati, Ohio Greg Seroka, a chef from Steamboat Springs, Colorado (whose 5-day cash winnings total $133,200) Greg Seroka game 6. Contestants: Amanda Garrett, a telecommunications technician from Greenville, South Carolina Chris Gunter, a stay-at-home parent from Rochester, New York Greg Seroka, a chef from Steamboat Springs, Colorado (whose 6-day cash winnings total $150,800) Greg Seroka game 7. Contestants: Scott Ylinen, a draftsman and college student from Morgantown, West Virginia Praggya Rustagi Barretto, a project coordinator from Boston, Massachusetts Greg Seroka, a chef from Steamboat Springs, Colorado (whose 7-day cash winnings total $180,401) Greg Seroka game 8. Contestants: Andrew Haringer, a college instructor from Squamish, British Columbia, Canada Emily Bialowas, an environmental educator originally from Ardsley, New York Scott Ylinen, a draftsman and college student from Morgantown, West Virginia (whose 3-day cash winnings total $62,705) Andrew Haringer game 1. Contestants: Louis Virtel, a journalist and comic originally from Lemont, Illinois Mary Green, a college instructor from Milton, Georgia Andrew Haringer, a college instructor from Squamish, British Columbia, Canada (whose 1-day cash winnings total $8,799) Andrew Haringer game 2. Contestants: Fritz Brantley, a writer originally from Little Rock, Arkansas Cindy de la Peña, a religious education coordinator from Southborough, Massachusetts Andrew Haringer, a college instructor from Squamish, British Columbia, Canada (whose 2-day cash winnings total $39,599) Andrew Haringer game 3. Contestants: Liz Rapelye, a mother and writer from South Plainsfield, New Jersey Todd Grabarsky, a lawyer from Los Angeles, California Andrew Haringer, a college instructor from Squamish, British Columbia, Canada (whose 3-day cash winnings total $45,999) Andrew Haringer game 4. Contestants: Ben Hom, a defense consultant and Navy Reserve officer from Arlington, Virginia Becky Schiavo, a college administrator from Warwick, New York Andrew Haringer, a college instructor from Squamish, British Columbia, Canada (whose 4-day cash winnings total $72,399) Andrew Haringer game 5. 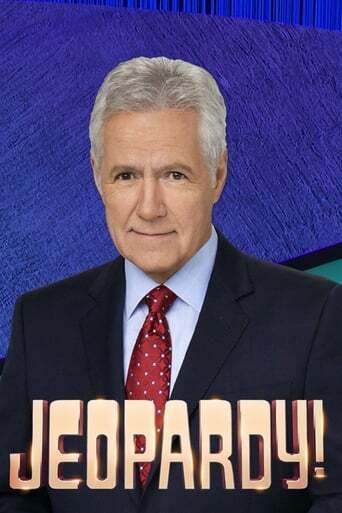 "7000th Jeopardy! program". Contestants: Laurie McNeill, an operations manager from Orlando, Florida Choyon Manjrekar, an urban planner from Providence, Rhode Island Andrew Haringer, a college instructor from Squamish, British Columbia, Canada (whose 5-day cash winnings total $96,599) Andrew Haringer game 6. Contestants: Dan Feitel, an attorney originally from Gillette, New Jersey Lenny Porges, a retailer from Tucson, Arizona Choyon Manjrekar, an urban planner from Providence, Rhode Island (whose 3-day cash winnings total $56,700) Dan Feitel game 1. Contestants: Jane Longacre, a pediatrician from Ambler, Pennsylvania Kate Cox, a writer from Arlington, Virginia Dan Feitel, an attorney originally from Gillette, New Jersey (whose 1-day cash winnings total $27,599) Dan Feitel game 2. Contestants: Adrienne Onofri, a writer and editor from Queens, New York Ivan Tan, a graduate student originally from Lexington, Massachusetts Dan Feitel, an attorney originally from Gillette, New Jersey (whose 2-day cash winnings total $45,599) Dan Feitel game 3. Contestants: Andrew Lasken, a royalties manager from Studio City, California Autumn Swinford, a major in the U.S. Marine Corps originally from Fredericktown, Missouri Dan Feitel, an attorney originally from Gillette, New Jersey (whose 3-day cash winnings total $85,598) Dan Feitel game 4. Contestants: Victoria Machado, a library assistant from Burlingame, California Randy Pike, an Army public affairs chief originally from Louisville, Kentucky Dan Feitel, an attorney originally from Gillette, New Jersey (whose 4-day cash winnings total $99,999) Dan Feitel game 5. Contestants: Tara Whittle, a strategy consultant from Troy, New York Jacob Johnson, an actor from Murray, Utah Dan Feitel, an attorney originally from Gillette, New Jersey (whose 5-day cash winnings total $127,998) Dan Feitel game 6.